The G20 is an economic club and it has traditionally stuck to that groove. And Saudi Arabia has traditionally been represented at G20 events by government ministers, usually the oil minister. But this time around, the Crown Prince Mohamed bin Salman, who is just a heartbeat away from becoming the king of Saudi Arabia, showed up. By doing so, Riyadh was pushing the envelope. It was insisting that the international community had better come to terms with the reality that MBS is the prince who counts in the House of Saud and should learn to deal with him as their principal interlocutor. No doubt, this also was a calculated signal that in Riyadh’s estimation, MBS has weathered the Jamal Khashoggi storm. The western countries face the dilemma that they have to normalize their relationship with MBS if it is to be business as usual with Saudi Arabia. Now, that is a bitter pill to swallow. It is one thing not to criticize MBS or Saudi Arabia publicly but it is another thing that under duress, they conduct business with the Crown Prince. So far, the international reprisal against Saudi Arabia over the Khashoggi affair has been rather muted. The US, Germany, France and Canada have imposed targeted sanctions against 17 Saudi nationals over Khashoggi’s killing. But they have neatly sidestepped MBS himself. Evidently, there is an honesty deficit here, considering that Turkey had shared the recordings of Khashoggi’s killing with all these 4 countries at their specific request. Diplomatic considerations and geopolitical interests dampen their spirit to go after Saudi Arabia’s jugular veins. Of course, the G20 picture that became viral was the ‘high-five’ between MBS and Russian President Vladimir Putin with President Trump in the backdrop watching with a worried look. The Kremlin spokesman Dmitry Peskov later explained that “good personal relations are the basis for effective bilateral cooperation.” In fact, Putin and MBS also had a productive ‘bilateral’ meeting on the sidelines of the G20 on December 1. Following up on Putin-MBS talks, technical teams are working on the level of the cuts necessary and the reference baseline for the reduction. There is growing confidence that OPEC+ will reach an agreement over a cut in production for 2019 when they meet in Vienna next week. Just look at the great irony of it: The western powers dial back their criticism of Saudi Arabia taking care not to annoy the Saudi Crown Prince, lest vital economic and geo-strategic interests are affected, and yet MBS finalizes with Putin the state of play in the oil market through 2019, which would critically impact the western economies. Implicit in this is also a gentle warning to Trump – that Saudi Arabia is not beholden to him and what is at work is a marriage of convenience. 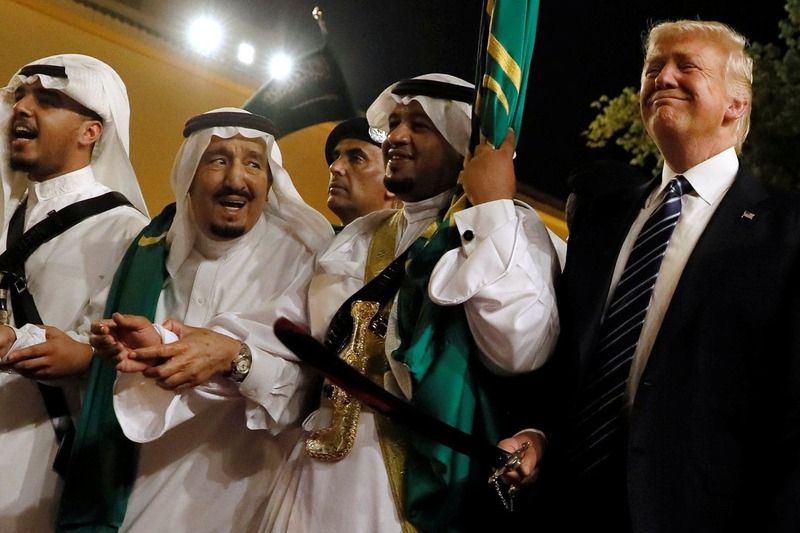 There is no question that Trump’s statement on Saudi Arabia two weeks ago was an example of strategic clarity although it drew forth a lot of derision and criticism within the US foreign policy elite. In his dogged pursuit of America-centred Saudi policy, Trump is betting on his key American audience, which supports his America First project. Simply put, he hopes to sell his Saudi policy directly to the American people and he is unapologetic about the actual drivers of the US policies toward Saudi Arabia and the Middle East. And he explained in his statement in unsentimental terms the values and purpose of the Saudi alliance. But this may turn out to be a big gambit. Trouble is brewing in the Congress where US-Saudi relations are in focus not only on account of the Khashoggi killing, but also over the Saudi-led war in Yemen. Last week, the US Senate voted to take up a resolution to terminate American support for Saudi Arabia’s war in Yemen. It was no doubt a warning shot to Trump. Meanwhile, the unusual closed-door briefing by the CIA Director Gina Haspel to the US senators on Tuesday on the Khashoggi killing may have queered the pitch for strident demands on the Hill that time has come for a comprehensive review of the American policy towards Saudi Arabia. Quite obviously, the CIA is seething with anger about Trump’s fawning over Saudi Arabia despite the compelling evidence of MBS’ complicity in Khashoggi’s murder. Read the Washington Post report entitled Senators accuse Saudi prince of complicity in Khashoggi’s killing here.